I am bouncing in my seat excited to bring you guys the cover for (the amazing) Sophie Jordan's next YA, Uninvited!! Holy. Crap. The DNA strands in the hair! The colors! The simplicity! I. Am. In. Love. WHEW. I so cannot wait for this book! And fun fact, I totally helped name Sean! I haven't met him yet... but I helped name him. So, you know. You guy should all add this to your Goodreads for that, and beacuse hello, it's Sophie Jordan. 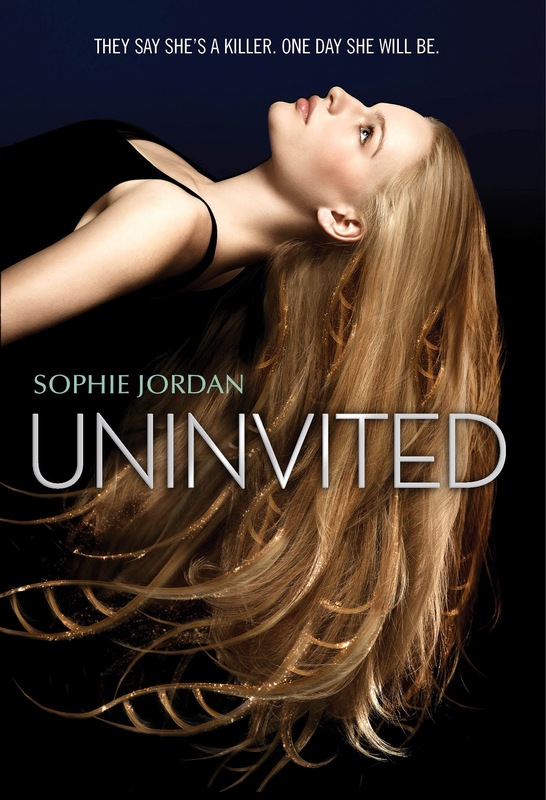 And to make this even more awesome, I've got a chance for TWO of you to win a signed Uninvited bookmark, something you can't get anywhere else for a good while! Just leave a comment with a way to contact you. US Only. Soooo what do you guys think of this gorgeous cover?? It's so beautiful!!! I can't wait to read it! I LOVE Sophie Jordan!!! And I LOVE this cover! OMG.